Even after being forced to terminate their operations in Tamil Nadu and close down 3 units, Foxconn has not given up. Reports have emerged that they will now start a new plant at Sri City in Andhra Pradesh, and manufacture Xiaomi phones. As of now, they will manufacture 10,000 units per day, which is not that huge, considering Foxconn’s market reach and capability. Gradually, this plan would be expanded to include manufacturing of other electronics gadget as well. Foxconn, which was running manufacturing units in India for the last 8 years, and employed more than 7000 employees during it’s peak, had to shut down their three units in Tamil Nadu, after Nokia was sold to Microsoft. In China, they have 25 units, employing a million workers. They are the world’s biggest contract manufacturer, as their client includes Apple, Cisco, Dell, Microsoft and Hewlett-Packard among others. Foxconn specializes in manufacturing all types of electronic gadgets which includes (but not limited to) smartphones, tablets, televisions, routers, set-top boxes and printers. Foxconn is planning to establish 10-12 factories in different states of India. An investment of $2 billion (Rs 12,000 crore) has been earmarked for their Indian expansion. Each of these plans would employ close to 10,000 employees, and they will manufacture not only smartphones, but all of their product lines. 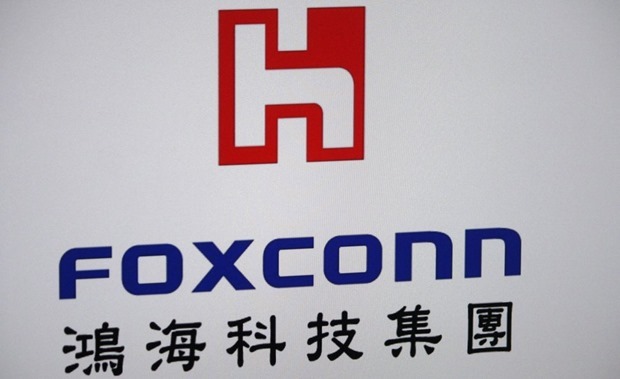 As per reports, Foxconn has initiated talks with several State Ministries, and they will soon announce their plans of opening up new factories. Reportedly, talks with Andhra Pradesh, Maharashtra, Gujarat, Telangana, Karnataka and Uttar Pradesh Governments is almost over, and there are strong possibilities that these states may get a pie of Foxconn’s Indian investment portfolio. Earlier this week, Foxconn along with Soft Bank and Bharti Enterprises had declared an investment of $20 billion in various solar energy projects in the country. One senior person from Foxconn has shared with ET that manufacturing Apple devices in India will take some time as they require some advanced machinery with greater precision; something which is still not available in India. Additionally, more investment is required, along with a broader supply base to make costs break even. There was intense speculation last month, when media reports emerged that Foxconn will start manufacturing Apple devices in Aurangabad, Maharashtra, which could be their biggest manufacturing base in India. But it seems that for time being, Foxconn wants to satisfy Xiaomi; and this move can be a game changer for the Indian handset market. Well. They should have closed this deal for those old employees in Chennai. But anyway, TN people now have another good choice to not to choose Foxconn. Their work culture is not good and mostly employees suffer at workplace. Many incidents did not came out. Only few posted in website.